Dessert queen Christy Tania has pioneered Melbourne’s first sweet breakfast menu from her very own dessert store Glacé Frozen, which opened in Windsor in August. The highly acclaimed pastry and dessert chef is offering Melbourne breakfast diners an exciting French-inspired menu with a sweet twist, paying homage to her time at The Ritz in Paris and years of working at some of Melbourne’s most prestigious restaurants, including Jacques Reymond, Vue de Monde and more recently, Om Nom Kitchen at the Adelphi Hotel. Drawing upon traditional French techniques she learnt early in her career, Christy wants to remind Melbournians that there’s a place for traditional sweet breakfasts too, away from what is the prettiest and most instagrammable plate. The Glacé Sweet Breakfast menu features eight fanciful dishes and seven complementary sweet drinks, including an interesting mix of dessert mocktails playing with curious flavour combinations like elderflower tonic with gin kalamansi sorbet and lemonade paired with beer pomegranate–a perfect early morning pick-me-up. For true traditionalists, Proud Mary coffee is served on the daily from 7.30am. 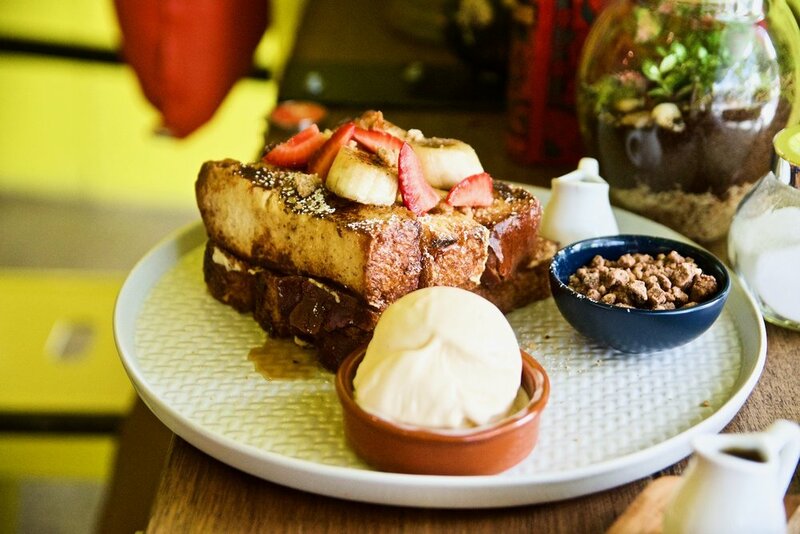 We loved tasting the classic French Toast Soldiers with French butter and ice cream or Banana Bread with caramelised banana topped with vanilla Chantilly cream, ice cream and peanut butter. It was truly decadent and gratifying. 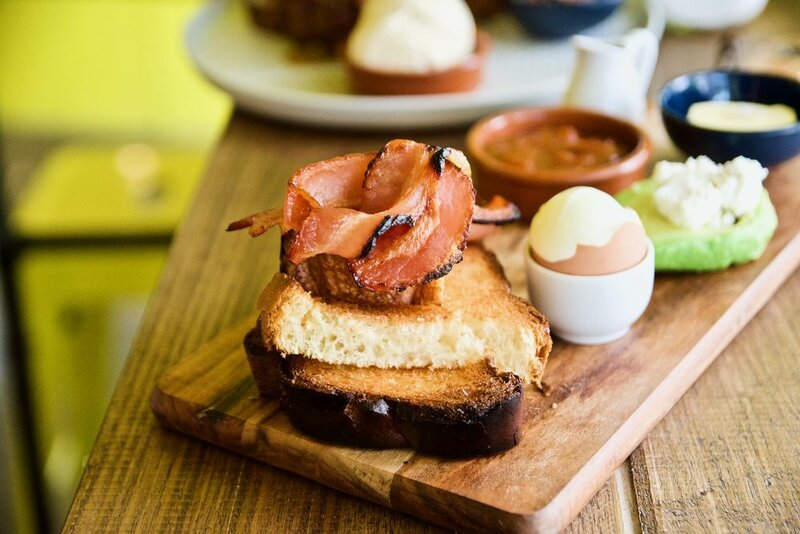 For those with less of a sweet tooth, the GLACÉ BREAKFAST BOARD does the trick with Toasted Sweet Brioche Soldiers With Fetta Crumbs, Half Avocado, Clacked 65 Degree Egg, French Butter D’isigny and Candied Bacon Strips. 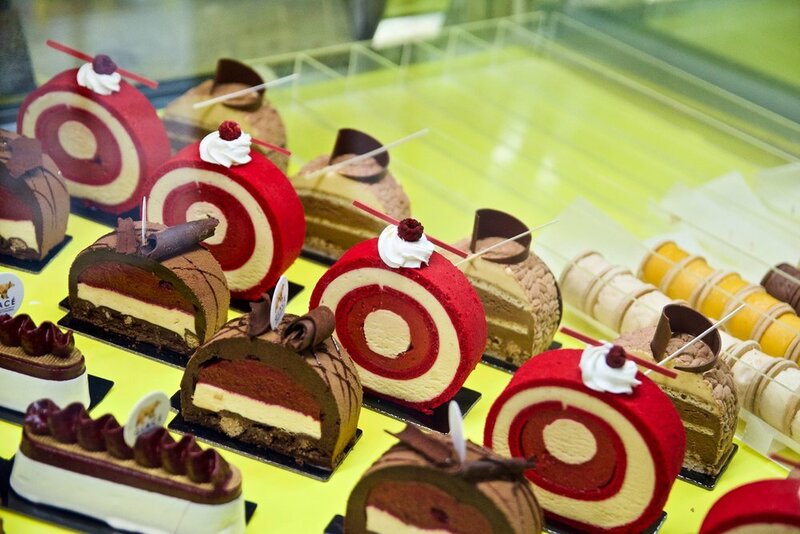 from WEISS, a boutique chocolate company located in France. The eggs, cream, butter, coffee and fruit are all sourced from the local area and Glacé is also the only business in the state importing trehalose; a natural sugar from Japan found in each flavour of ice cream. Glacé’s Sweet Breakfast menu complements the already-existing range of petit gateau glacés (ice cream cakes) sorbets and ice creams available daily and is available every Thursday–Sunday from 7.30am–4pm.